These Candy Cane Thumbprint Cookies are guaranteed to be a holiday hit! Each year at my annual Christmas cookie exchange, I try out a new recipe to share with friends. This year I picked these Candy Cane Thumbprint cookies from one of my Gooseberry Patch Christmas recipe cookbooks. These delicate cookies have a great mix of textures. The mildly sweet butter cookie is a wonderful contrast to the sweet peppermint buttercream topping. This cookie is definitely a keeper! With an electric mixer on low speed, blend softened butter, sugar and salt. Mix in egg and vanilla. Beat in as much flour as possible; stir in remaining flour. Cover and chill for one hour. Shape dough into one-inch balls; place 2 inches apart on ungreased baking sheets. Bake at 375 degrees for 8-10 minutes, until lightly golden around edges (very lightly golden…these should be soft when cooled.) Remove from oven; make a thumbprint in each cookie with thumb. Cool. Pipe filling into centers with a star tip. Sprinkle with crushed candy canes. Blend butter and extract. Gradually add powdered sugar and half & half to a piping consistency. Sprinkle crushed candy canes on the frosting immediately so that they stick before icing starts to firm just a bit. 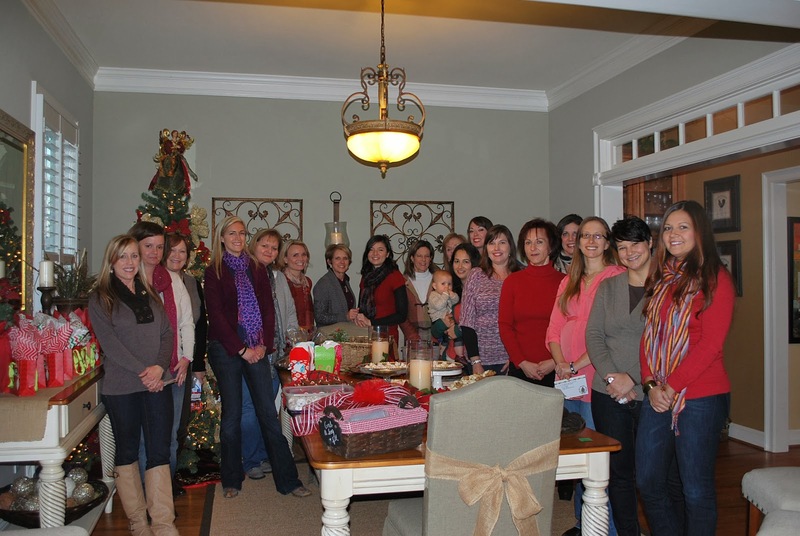 A few pictures from my cookie exchange this year…. That’s a whole lot of deliciousness! 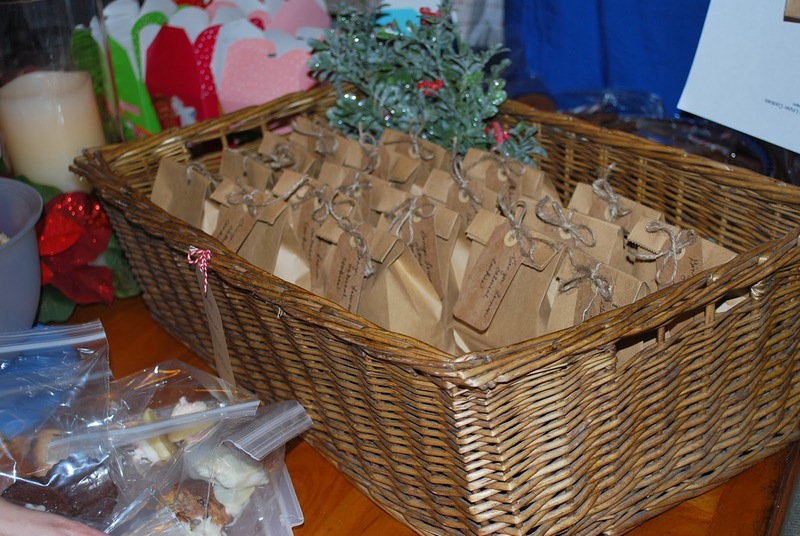 and new recipes and treats to share with family and friends! 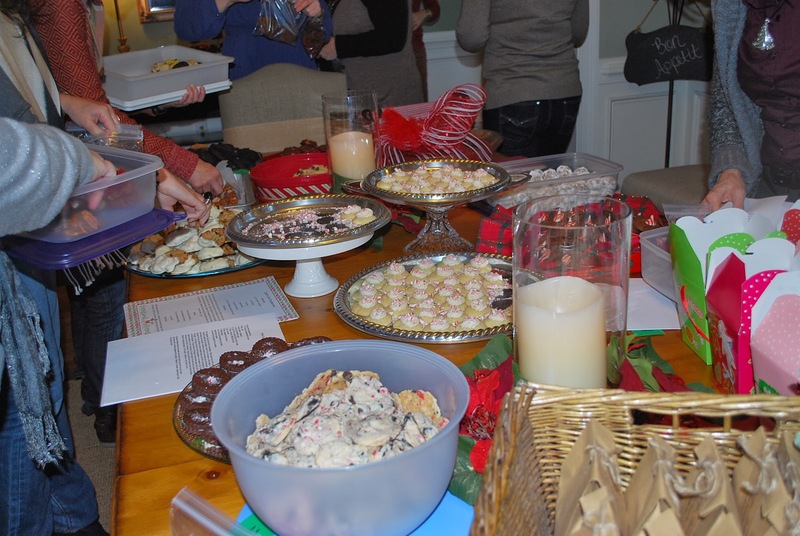 If you don’t currently take part in a cookie exchange, then why not start one of your own?! It’s a whole lot of fun! 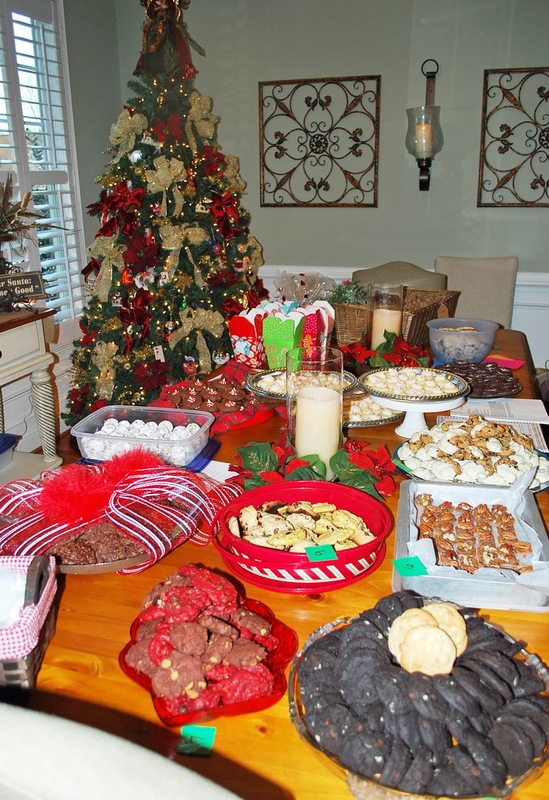 Don’t worry, if you don’t want to go into a sugar coma, there are places that you can donate trays of cookies that would be very grateful this time of year: nursing homes, homeless shelters, churches, etc. I would love to host a cookie exchange. It would be fun to try lost of dfferent cookies and swap their recipes. LIke these. They look fabulous and I can’t wait to try them! #onthemenu Thank you for linking up with #FooddieFridays this week!